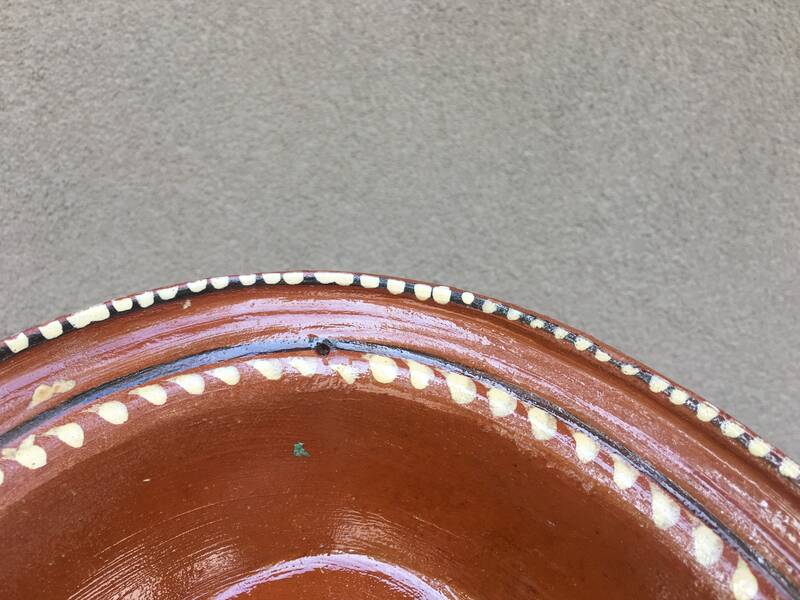 This early Mexican oval dish from the town of Capula, Michoacán, is the type that would have been used for casseroles, possibly with a lid, although this one has a hole (off center) at the top so likely was produced as decor, possibly as tourist pottery. 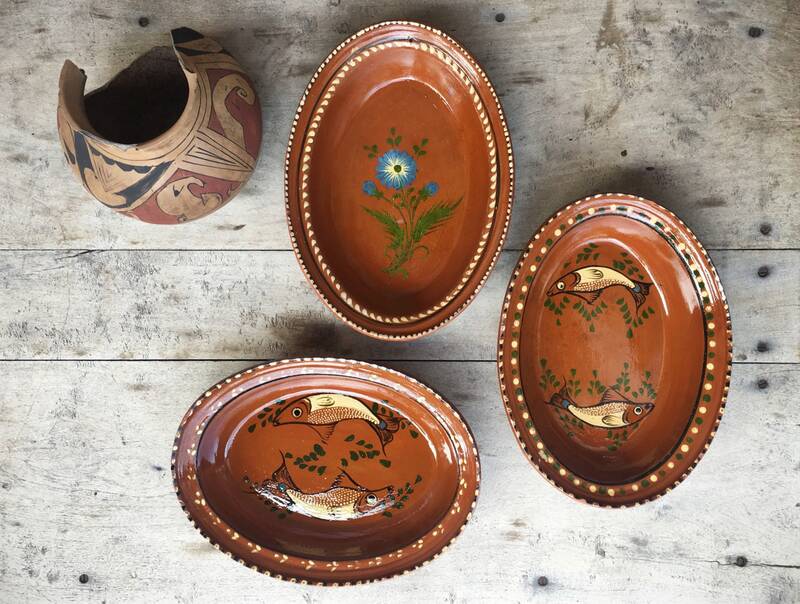 Handcrafted from red clay and hand decorated, Capula pottery is often painted with fish and birds and other common designs, but the most recognizable feature is the pointillist style of dots all around the borders, often in yellow-cream colors that stand out against the rust colored base. 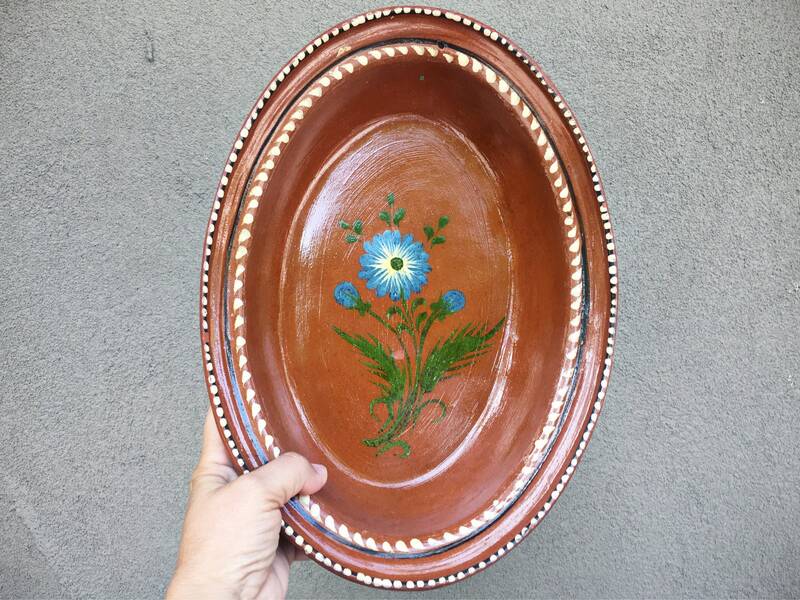 Love this blue flower design--primitive and striking--from a collector of this style of pottery. 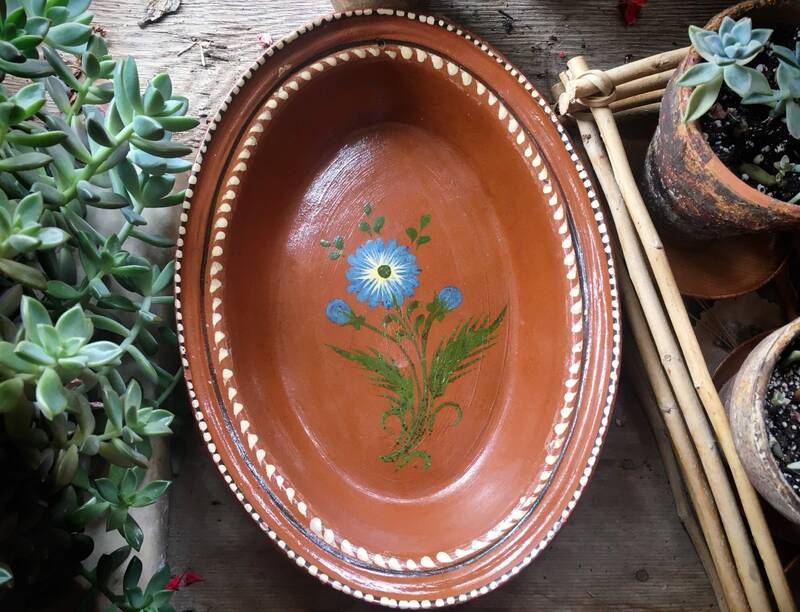 Will be gorgeous in a Mexico inspired home, displayed on a shelf or rustic hutch. I would not recommend cooking or serving food in it. 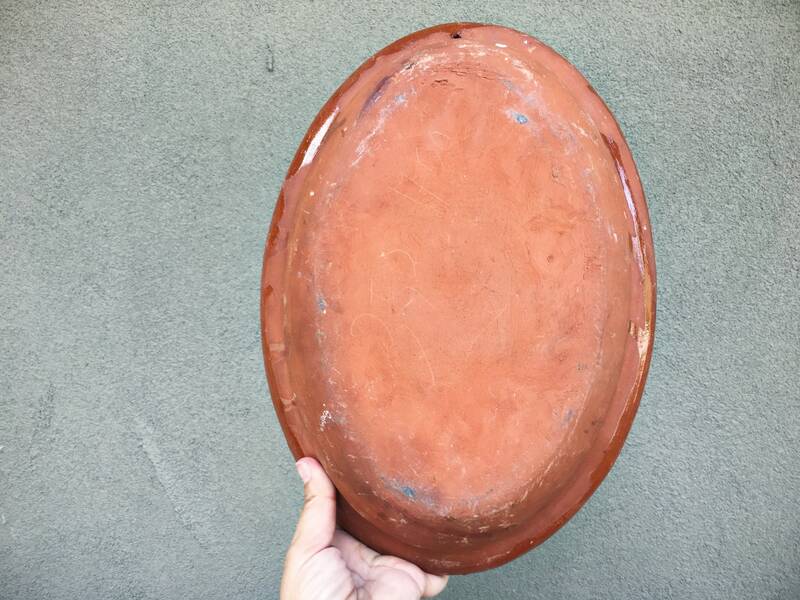 Glazes from this era--anywhere from the 1940s to 60s--often contained lead. 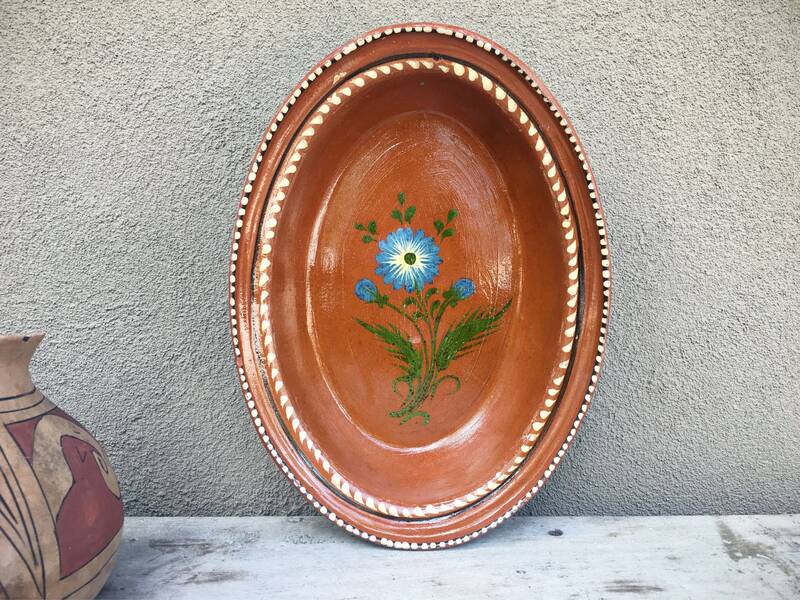 Measures 13" long by 9-1/2" wide and 2-3/4" high. 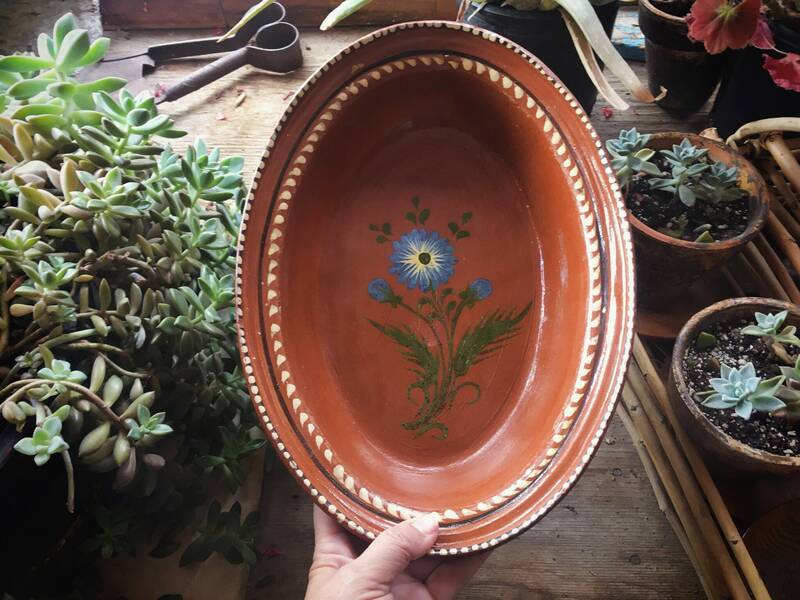 Has small fleabites and areas where the glaze and part of paint have flaked, especially on the rim, yet no major cracks or chips. 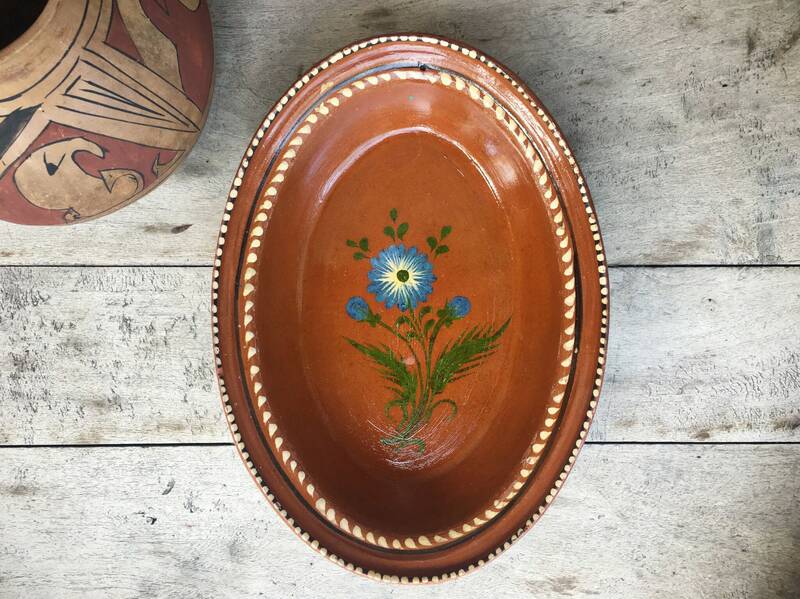 Lovely piece for your collection.